I thought I was going to DIY my makeup remover for life with single ingredient oils like jojoba oil and sweet almond oil, both of which work well with a wet, warm washcloth*. But midway through the summer, I was seeing praise for OLO x BeautyBets all over my feeds. At last I couldn’t stand not being in the know, so I hopped on that bandwagon with a sample pack or two…and as soon as I finished my sample of the vitamin b active moisture cleansing oil and makeup remover (and the one meant for my sister**…oops), I sprung for full-size. When the amazing, tropical papaya scent of the cleanser first hit me, my olfactories just about sprang to heaven. Every time my sister washed her face with it, she would walk to me from the bathroom, massaging her face, saying, “This smells soooo good***.” The best part? It’s not just a pretty scent. As OLO themselves beautifully explain on their blog, papaya gently exfoliates, brightens skin, and feeds the face with fatty acids. This along with pumpkin both contain plenty of vitamin b which help to detoxify and calm the skin. It is a hybrid between a skin emollient and a surfactant so it helps to clean and condition the skin simultaneously. We wanted our cleansing oil to rinse off completely with water so we chose this ingredient to help us with that function. Please do let us know if you have any other questions. And that was enough consolation for me to click the “Checkout” button. Since the ingredient is non-toxic, I can live with it. And as much as I enjoyed the wet, warm washcloth method, I really enjoy the convenience of a rinse-off oil. Also it’s awesome watching my mascara-induced panda eyes just wash away. The cleanser always leaves my face feeling so soft; so soft that sometimes I rinse extra because I’m not too sure I’ve rinsed away all of the cleanser! I’ve used this cleanser at night alone, in the middle of the day after yoga, and currently I’m enjoying it as my first step in double cleansing at night. I’ve also just repurchased because my skin behaves so well with this cleanser that I don’t want to mess with its zen. 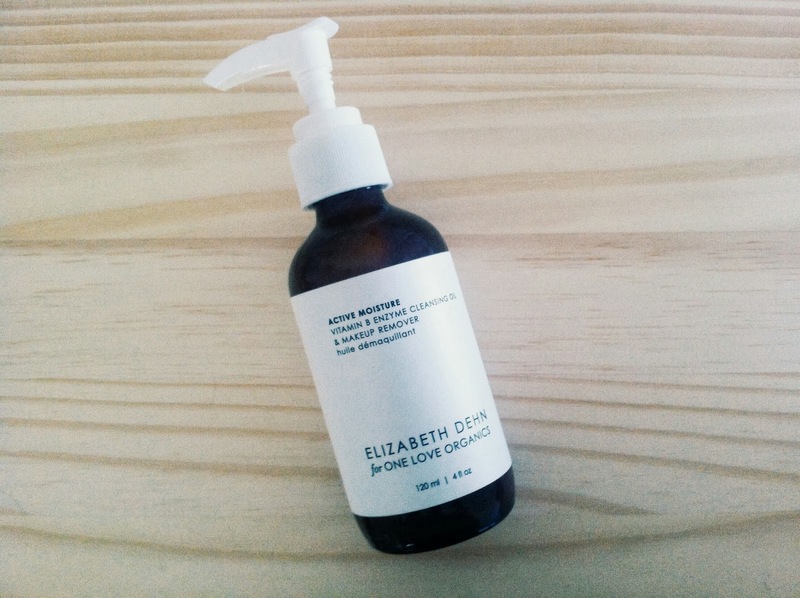 Have you tried this cleanser? What are your thoughts? *How’s that for “w” alliterations? **It’s okay, I left her with 1oz when I took the full-size with me back to school. ***And then she would paint a batman mask on her face with her mascara and eyeliner remnants. Yeah. I just bought this and though I've only used it once, I LOVE it! I'm new to green beauty, but so far super impressed with my purchases and this is my favorite… so far. Definitely the perfect alternative if you don't want the fuss of a hot cloth. Hope you give it a try! Whoo!! Glad to hear and welcome to green beauty! Great first pick :)What else are you getting into? The ED4OLO range is high on my wish list! I'd love to try the Vit D mist since I'm not using any toner now. As it should be! It all smells and feel beautiful. I finished a small sample of the Vitamin D mist which I found nice, but I have been using other mists so I haven't gotten around to properly trying it. Its moisture-rentention/enhancing qualities are sure to be good for the winter cold though!